Despite not being a well-known author, Steven James ranks high in my list of all-time favorites. I have been reading his books since high school, and they have yet to disappoint me. His most recent work, “Every Wicked Man,” holds up to the high standards he has established with his other books. “Every Wicked Man” is the third book in the New York Years series and the 12th overall book in the Bowers Files. 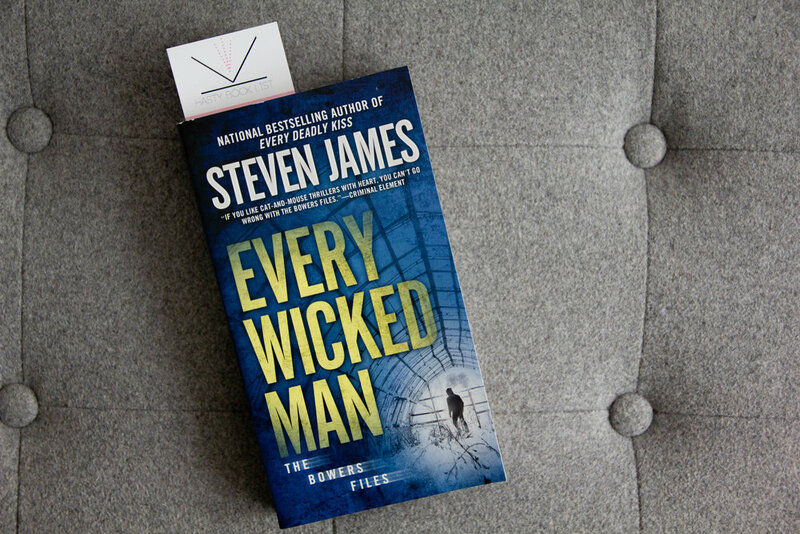 Like the other books in the series, “Every Wicked Man” focuses on a case presented to FBI Agent Patrick Bowers and follows him until it is solved. I particularly enjoy this structure, because you can read this as a standalone book or part of a series. Anything of importance in previous books is recapped, which is integrated into the story so you do not have to muddle through an information dump at the beginning of the book. This entry in the Bowers Files centers on suicides being streamed online, drug trafficking and a man who cannot remember whether or not he is a serial killer. Most of James’s writing is very straightforward crime-drama, but the way he writes and how his characters interact with one another separates these books from your average “CSI” knockoffs. In addition to the case, Bowers also has to deal with his personal life. His wife, Christie, is torn about whether or not to tell him about her cancer diagnosis. Meanwhile, Bowers is trying to form a relationship with his teenage stepdaughter who inadvertently gets mixed up in the case. “Every Wicked Man” is an incredibly fast-paced book, and I highly recommend it. I caught myself in a moment of pretentiousness while reading—I assumed I knew who the villain was from the start and began berating James for making the plot twist so obvious. As it turns out, I am now confident this was exactly what I was supposed to think, and the reveal of the true villain was made even more shocking when I realized I guessed wrong. Despite the jargon present in the book—quantum key generation, Morgellons disease and a host of law enforcement terms—James does a good job of keeping his reader up to speed with what everything means. The jargon in the book actually raised my opinion of the work, because they were realistic terms. Quantum key generation, for example, is a way to send secure data from one party to another and is still used by companies today. Paige Holmes is a junior journalism major from Topeka, KS. Reading is her favorite thing to do because it teaches one how to think, imagine and live. Paige believes there is no better way to learn something or be entertained than by reading a book. Her favorite genre of books is fantasy/thriller and her favorite book is ‘Opening Moves’ by Steven James.